Whooping cranes being led by an ultralight. Click on the above video if you'd like to see how endangered whooping cranes are taught to migrate with the help of ultralight aircraft. Operation Migration and the Whooping Crane Eastern Partnership have been working to restore the population of the giant birds, which had dropped to just 15 back in the 1940s because of hunting and is still only about 570 worldwide. By guiding the birds with ultralights, the program is creating a new migration route from breeding areas in central Wisconsin to wintering habitat in Florida. I bring this up because of the sad news this week that three whooping cranes were confirmed to have been shot and killed in late December near Albany, Georgia. They were not being led by ultralights at the time; they were wearing bands and transmitters and were making their first migration without the small aircraft. A reward of $12,500 is being offered by wildlife organizations to anyone who provides information to help solve the case. On a considerably brighter note, the Maldives—Indian Ocean islands in danger of vanishing as sea levels rise with global warming—is negotiating to import vast quantities of sand from Bangladesh to literally shore up its shores. The rivers of Bangladesh are becoming so filled with silt streaming off the Himalayas that the country is planning a major dredging effort anyway; the unwanted sand/silk would be welcomed several hundred miles away on the lovely islands. 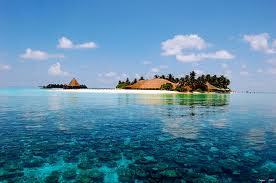 How could I resist inserting a picture of the Maldives while sitting in snowy Maine on a 10-degree morning in January? In case you missed it, Sports Illustrated did one of the photo shoots for its 2010 swimsuit issue here. Actually, we missed a birthday a few days ago. An important one. Welsh-born naturalist Alfred Russel Wallace, who would have been 188 years old this week, could have become as famous as his contemporary Charles Darwin. As it is, a small bookcase could be filled with the books written about Wallace. Some of his admirers argue that he should have received the credit—or at least more credit—for coming up with the theory of evolution. He and Darwin simultaneously developed similar evolutionary ideas based on the physical evidence they saw on long expeditions to different corners of the world. In the end, spurning jealousy and remaining true to his science, Wallace became one of the strongest defenders of Darwin. Hungarian-born physicist Edward Teller, the controversial, brilliant, hawkish co-inventor of the hydrogen bomb (and the design principles used for most current nuclear weapons) would have been 103 years old today. Confident that science and technology could create a better, safer world, he was a strong proponent of the Star Wars missile defense system and nuclear energy. (He once blamed a heart attack he suffered on anti-nuclear-power remarks made by Jane Fonda.) Perhaps fittingly, he was said to be a model for the lead character in the movie Dr. Strangelove or: How I Learned to Stop Worrying and Love the Bomb. Robert Silverberg, a science-fiction author who took readers out into the universe and the realm of imagination, turns 76. The winner of many awards within his genre, he drew on literary sources from Yeats to Conrad and touched on themes very much grounded in the real world. This Silverberg book foretold an Earth run by the Corporation, which demonized peaceful aliens to win public support for mining on one of their planet's moons.